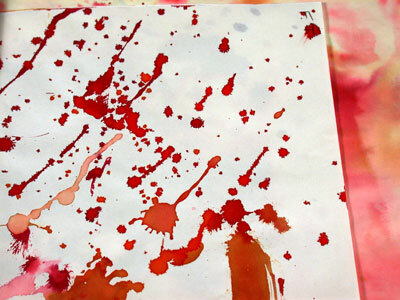 Clean up at the end of the blob workshop. 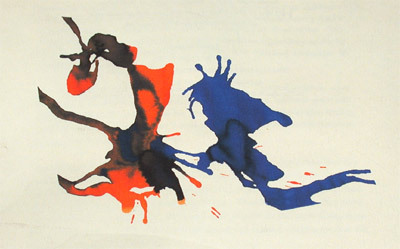 Blobs obtained by letting the ink run along the folds of the paper. 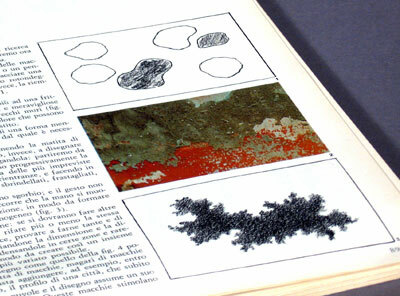 Pages from "Linguaggio Visivo", a book by Italian author Pino Parini, on the use of blobs in drawing and art. 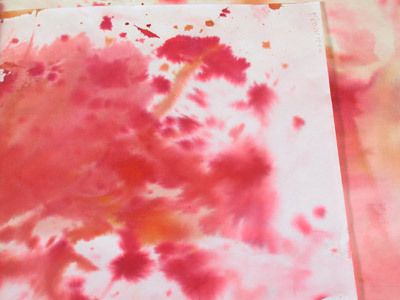 Other examples of blob uses. 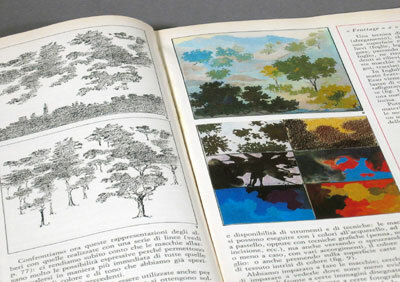 From "Linguaggio Visivo", by Pino Parini. 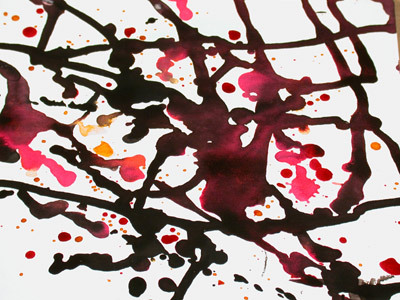 Blobs can be seen as mistakes, accidents, or they can be seen as shapes, figures, inspirations. 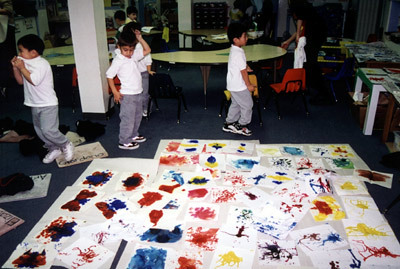 In this workshop the children were shown a series of techniques, all related to blob-making, which resulted in experiments in blowing ink, folding paper with ink in it, crumbling paper and running ink through the wrinkles, making paper wet and dropping ink on top of it. 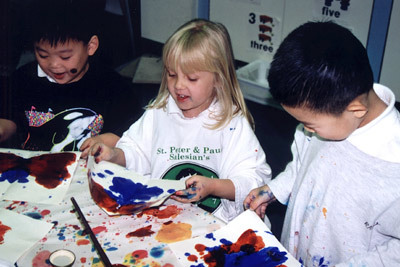 These techniques free the children from the worries of right and wrong, neat and messy, and good and bad. 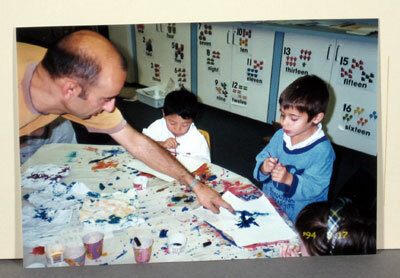 I conducted a similar workshop many years earlier with elementary school children in Reggio Emilia, Italy.